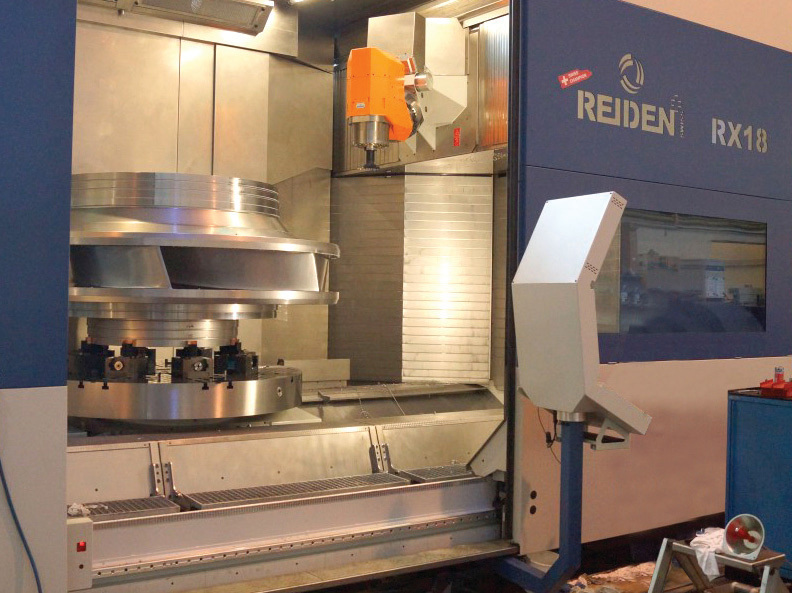 The REIDEN Technik RX18 5 axis machining center provides a solution to all of your machining needs with its Milling, Turning and Pallet Changing system. The structure of the REIDEN 5 axis RX 18 is designed to minimize all moving parts which guarantees premium stability. Due to a specially designed head, the RX18 is able to machine angles ranging from -15° to +105° using only one axis. The design of this Trigone head also ensures minimum cross-stress during machining, ultimately allowing for better surface finish and reduced tool stress. 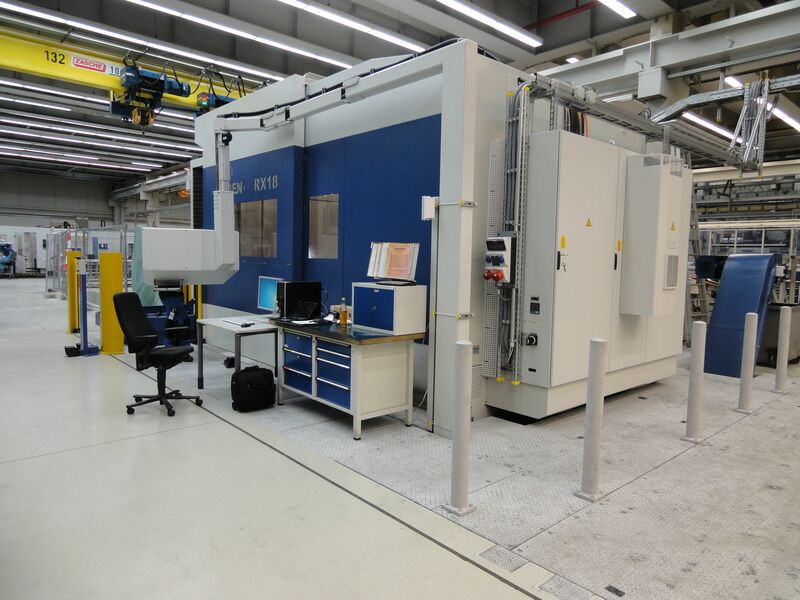 The RX18 is a compact 5-axis universal machining center with a very small footprint. 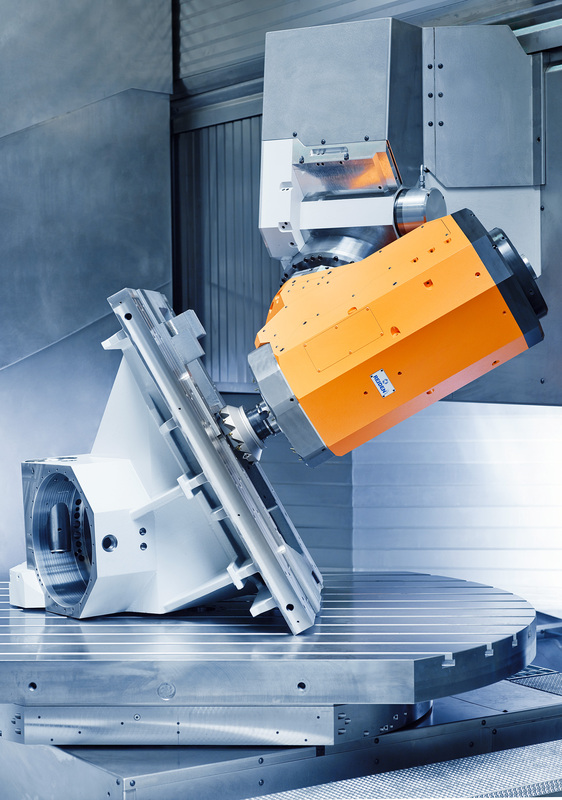 The machine offers a significant machining envelope in relation to its footprint dimensions.